In assessing the capabilities of warships, the most basic parameter is size, usually given in tons. Unfortunately, pre-modern usage was inconsistent and modern authors all too frequently fail to specify which ton they are using and how. The ton has its origins in the English tun, a barrel with a capacity of 252 gallons used in the French wine trade that became the dominant unit of measure for shipping in medieval Britain and western Europe from Amsterdam south. The equivalent in northern waters was the last, roughly two tons, while the botte, about half a ton, prevailed In the Mediterranean. Capacity was at first given in terms of the number of tuns, lasts or botte that could actually be loaded into a ship's hold. Later, methods were developed for using hull dimensions to calculate precisely capacities in these units (and their local variants, of which there were many). The results were - and are - economically informative. The sizes of sailing warships were calculated in the same way, but the results are less helpful, for carrying capacity is a poor indicator of military potential. By contrast, war galleys were rated according to their number of rowing banks and oarsmen. In both cases, size was related to combat capability; the question is how best to measure and express it. Most modern authors use tonnage - by definition a measure of capacity - to express the size of medieval and early modern ships, but this can be misleading even when used correctly. The modern solution is to rate warships in terms of the weight of water they displace, expressed for convenience in long tons of 2,240 pounds avoirdupois. Unlike medieval capacity calculations, the results are not exact, for a vessel's displacement varies with the load it carries. The results are, however, meaningful and apply to war galleys as well as sailing warships. 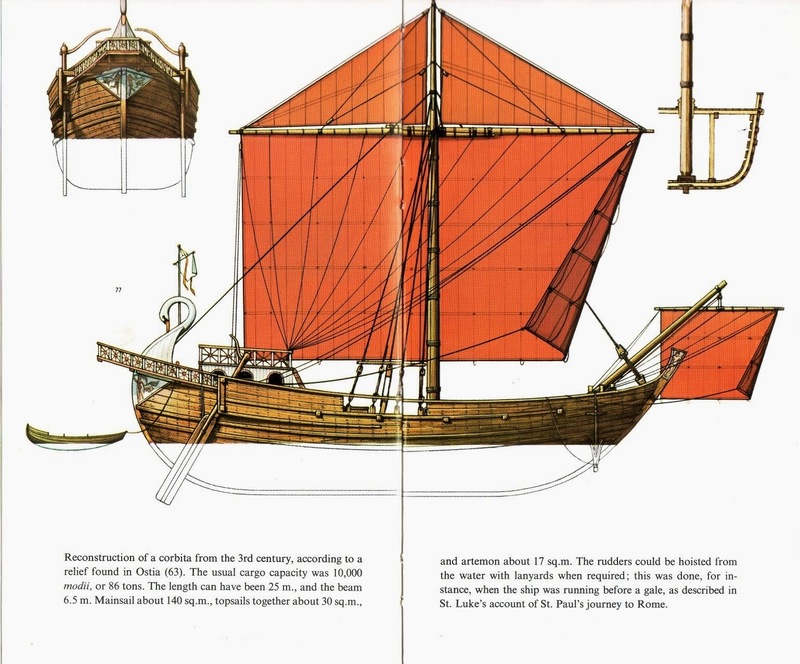 We must obtain them ourselves, however, for in medieval times only Chinese shipwrights were able to calculate displacements, and their methods were lost with the Ming dynasty's ban on ocean-going vessels. European shipwrights began calculating displacements only in the late 1600s, and for another two centuries used the results only as part of the design process. 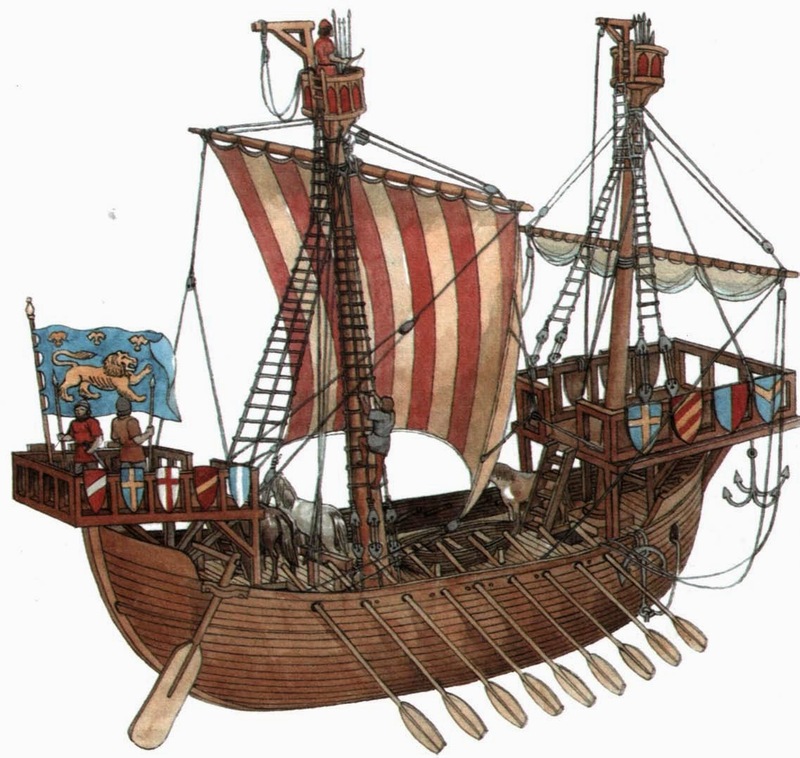 Fortunately, medieval and early modern shipwrights - at least successful ones - were systematic and their designs consistent. Knowing the dimensions of a few representatives of a given type, we can calculate the displacements of the rest with reasonable accuracy from one or two parameters: length, breadth and depth of hull or capacity in tons, lasts or botte. We are helped in this endeavour by naval historian Jan Glete who has calculated the displacements of an immense number of early modern warships and published the results in his trail-breaking Navies and Nations: Warships, Navies and State Building in Europe and America, 1500-1860. The origins of Rome’s imperial fleets were in many respects similar to those of the legions and auxilia. In the final bout of civil wars, Octavian’s struggle against Sextus Pompeius and the sea-battle at Actium in 31 bc had highlighted the political importance of controlling the seaways of the Mediterranean, and especially the waters around Italy. At the same time, Octavian had been left with some 700 ships on his hands after the final victory. 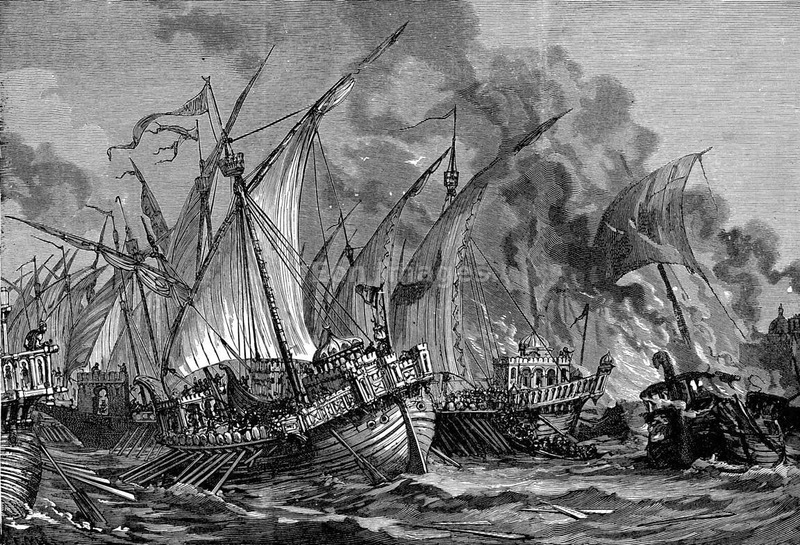 Much of Antony’s fleet was simply burned, but the rest of the ships were sent with their crews to Fréjus (Forum Iulii) on the southern coast of Gaul (Tac. Ann. 4.5), where a squadron was maintained until the reign of Nero. The main Roman fleets, however, were stationed at Misenum in the bay of Naples, in part to protect the grain transports from Egypt, and at Ravenna at the head of the Adriatic. These bases were most probably chosen for their large, safe harbours, rather than for strategic reasons, but there were also detachments of the classis Misenatium along the west coast of Italy at Ostia, Puteoli and Centumcellae. The Mediterranean was a Roman lake, known as mare nostrum or ‘our sea’, and the main threat was from civil strife or piracy rather than any external enemy. What mattered was for the emperor to maintain ‘fleets in being’, which could be used if they were needed. 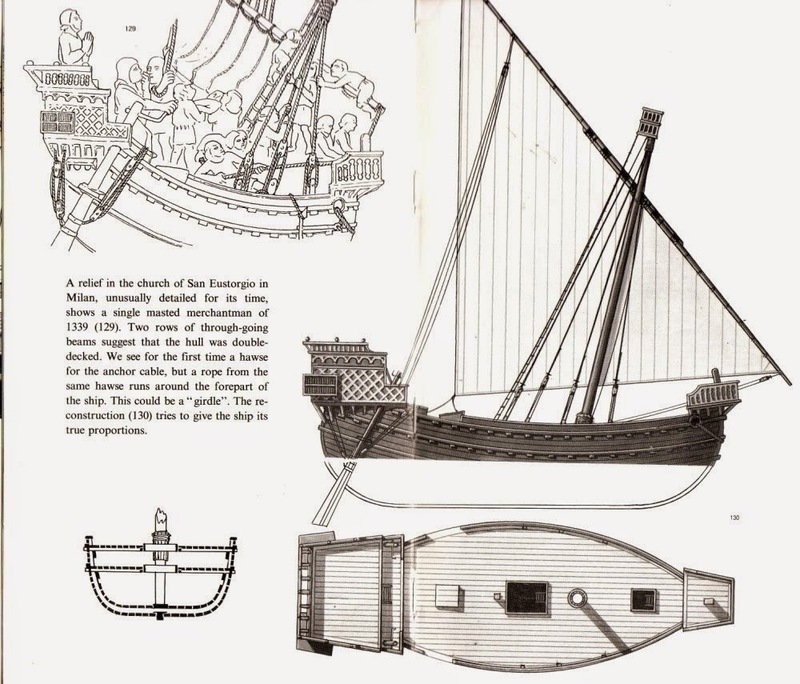 In the event they were not required for any major conflict until the civil wars of the early fourth century, and the fleet was mainly used for transport of the imperial family and of troops going on campaign. It is significant that a large detachment of the sailors from Misenum could be kept in Rome to stage mock seabattles (Tac. Ann. 12.56; Suet. Claud. 12.6) and work the sun-awnings in the Colosseum (SHA Comm. 15.6). The sailors of the Italian and other fleets were normally, like the auxiliaries, non-Roman citizens. They even included ex-slaves and Egyptians, who were barred from serving in most other branches of the armed forces. Inscriptions show that the men of the classis Misenatium were recruited mostly from the eastern provinces, especially Egypt, while those of the classis Ravennatium came mostly from the Danube provinces. A number of provincial fleets were also maintained. One, the classis Alexandrina, was based at Alexandria from the time of Augustus, and was probably a legacy of the war against Antony and Cleopatra. It too was manned by Egyptians, but only those with Alexandrian and Roman citizenship, even though ordinary Egyptians could and did join the Italian fleets. The role of the classis Alexandrina was probably to protect the mouth of the Nile from which the grain ships set sail for Rome, although it also operated on the river Nile from time to time. A Syrian fleet, the classis Syriaca, was probably based at Seleucia at the mouth of the Orontes from some time in the first century ad to protect the coastline of Syria and Judaea. After ad 44 the Alexandrine and Syrian fleets also sent a detachment to Caesarea (Cherchel), the capital of Mauretania Caesariensis in the western Mediterranean. The other provincial fleets were all based on the northern frontiers and had their origins at the end of the first century bc and in the early first century ad. Several of them were riverine rather than sea-going, including the classis Germanica on the Rhine, with its main base at Cologne, the classis Pannonica on the middle Danube, with its main base near Belgrade (Singidunum) and the classis Moesiaca on the lowerDanube, possibly based around the Danube delta. The duties of such fleets were mainly ferrying and supply, although they did on occasion engage in hostilities on the river. In the Black Sea itself the navy of the kings of Pontus was reorganized as the classis Pontica based on the northern coast of AsiaMinor and in the Crimea. In addition, a British fleet, the classis Britannica, was established when the province was invaded in ad 43, and had its main bases at Boulogne and Dover. Its role, too, was mainly one of transport and supply. 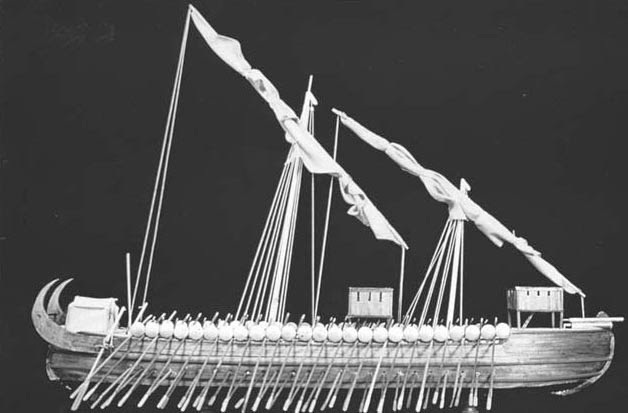 The main capital ship of all the fleets was the trireme, a ship rowed at three levels with a crew of around 200, although the riverine fleets consisted mostly of much smaller biremes and single-level ships. The two main fleets had a few quadriremes (a two-level ship with two men to each oar) and quinqueremes (three-level with one or two men to an oar), and the Misenum fleet had a flagship, named Ops (‘Wealth’) (CIL x 3560, 3611) which was a six (three-level, two men to an oar).We know the names of eighty-eight ships in the Misenum fleet: one six, one quinquereme, ten quadriremes, fifty-two triremes and fifteen smaller vessels (liburnae). Since the names may have been passed down from ship to ship, this may reflect the actual strength of the fleet, and accords with other evidence for its size. 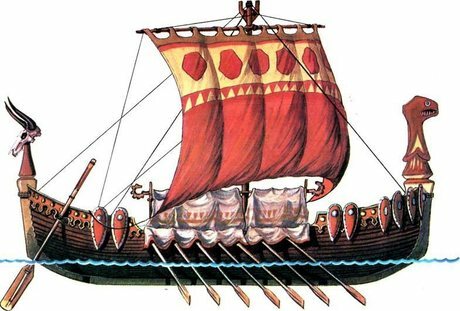 For the Ravenna fleet we know the names of two quinqueremes, six quadriremes, twenty-three triremes and four liburnae, which suggests that it may have been around half the size of the Misenum fleet. Sailors served for twenty-six years (twenty-eight in the third century) and were rewarded with Roman citizenship after that time. They were also organized much like the auxilia. The sailors even call themselves ‘soldiers’ (milites) on inscriptions, and no distinction appears to have been made between rowers and marines. We find the usual immunes, as well as tesserarii, sub-optiones and optiones, signiferi and vexillarii. In addition, however, we also find specifically nautical principales, such as celeustae or pausarii who called time to the rowers, proretae (bow-officers) and gubernatores (helmsmen). Individual ships were commanded by trierarchi and squadrons were commanded by a nauarchus, the senior of whom was the nauarchus princeps. All these last three appear to have ranked as centurions, and may even refer to themselves as such on occasion, although some scholars believe that the fleet centuriones were specifically officers of marines. All the fleets were commanded by equestrian praefecti, mostly ranking with junior procurators and just above the third grade of the militia equestris (though under Claudius and Nero many procurators were still ex-slaves of the emperor, and some of these were given fleet commands). The involvement of the Misenum and Ravenna fleets in the Civil War of ad 68–9, however, ensured that their special importance had to be acknowledged. Vespasian gave them both the honorific title praetoria, and they were subsequently entrusted to equestrian prefects who ranked only just below the prefect of the vigiles and the other great prefectures. The prefect of the Misenum fleet in ad 79 was the author Pliny the Elder, who died when he took his ships across the bay of Naples to rescue some friends from the eruption of Vesuvius in that year. The dramatic story is told in a letter (Ep. 6.16) written by his nephew, Pliny the Younger. In contrast to the people of southern Russia the Novgoroders designed larger boats for transporting cargoes on the Baltic Sea and for waging maritime battles. In fact, the citizens of the Free City of Novgorod became known for their maritime exploits. Novgorod's bigger lodyas were built with decks and posed a far greater menace to its neighbours. In response to the constant plundering of ships along the Narva sea route by Polish buccaneers and pirates from Danzig, Ivan IV enlisted the services of a Danish seafarer, Captain Carsten Rhode. Ivan IV financed the arming and outfitting of a ship and issued the Dane Letters Patent granting him the broadest possible powers-in essence, the right to pirate and plunder any and all ships not sailing under the Tsar's flag. Captain Rhode served with remarkable ardour. In time, the King of Denmark wearied of the incessant protestations issuing from the royal courts of Europe, felt compelled to intervene, and recalled the zealous Dane. In 1581 Swedish forces recaptured Narva, and trade along the Narva sea route ceased. For long voyages these early Russians built a light, open vessel called a lodya. The Byzantines called it in Greek monoxile because it was made from a single tree, usually the hollowed-out trunk of an oak or linden. Layers of planking were secured to the hull to increase its height and oars were affixed to the planking. A single mast with a square sail made the lodya seaworthy, and it was light enough, when the need arose, for portage. Although it seldom exceeded twenty metres in length, a lodya often held a crew of forty. Along with his faithful warriors, Kievan Grand Prince Svyatoslav Igorevich became fabled for his acts of valour. 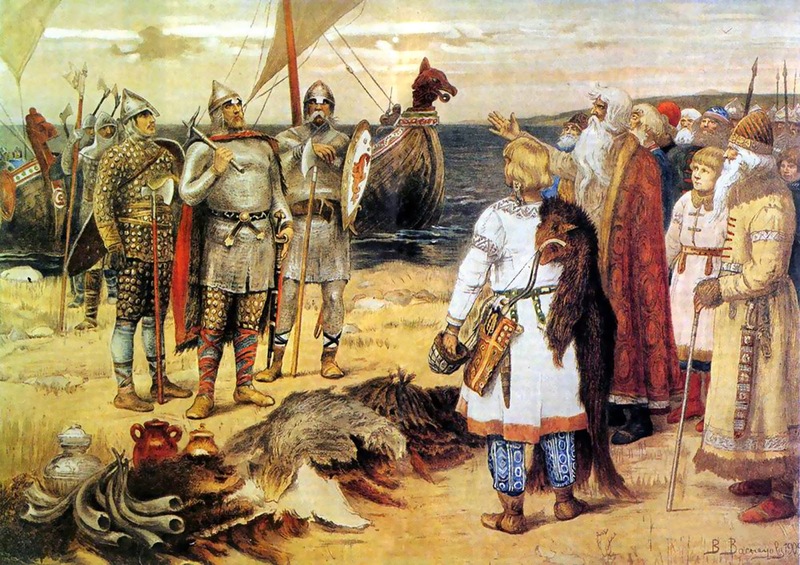 Prince Svyatoslav's most celebrated deed was his conquest of Khazaria in 966 following a great sea battle. Sixteen years later Grand Price Vladimir, son of Svyatoslav, attacked Byzantium and engaged the Byzantines in yet another naval battle. In 1043 Kievan Rus began its ninth naval campaign against Constantinople. Prince Vladimir, son of Yaroslav the Wise, sailed into the Bosporus with his flotilla of lodyas and utterly routed the Byzantine naval force. This marked the last assault of a Kievan Rus fleet upon Tsargrad. After the death of Vladimir Monomakh in 1125, the struggle for power between the princes of Ancient Rus intensified. Disunited and weakened through internal strife, the princes could give little thought to warring against neighbouring states. Both Vsevolod and his son, Prince Yury II, equipped flotillas of lodyas and sent them against the Volga Bulgars. During one of his military campaigns Yury II founded the eastern-most of the Russian princedoms, Nizhny-Novgorod, at the place where the Volga flows into the Oka River. The name “REALE” indicates that the galley belonged to the King of France; also from 1526 the admiralty vessel of the Captain of the French galleys was called “REALE”. The original craft is an exact reproduction of a typical end of 18th century “REALE”, sumptuously decorated by the famous sculptor Pierre Puget; the stern ornamentations, still conserved today, are displayed in the “Musée de la Marine”, Paris. A large part of the reconstruction is based on old original plans, integrated, where necessary, from other securely reliable sources. The 1:60 scale model is a reproduction of a vessel with a total length of 63m, 9.70 m wide at the over deck carrying 59 thwarts and 50 oars, each maneuvered by 7 men; there were therefore 413 oarsmen alone: small part of them were slaves, but the majority criminals condemned to life imprisonment, while the “heard oarsmen”, i.e. the men at the end of the oar handles, were regularly paid volunteers. The rest of the crew consisted, besides the officers at the stern, in a galley sergeant and two helpers (who, from the midway, whipped the oarsmen to urge them on) and a variable contingent of soldiers and gunners, located on the forecastle and along the arbalesters. The arms consisted in 5 pieces in bronze, concentrated to bow under the forecastle on special sliding-carriages and by 11 swivel guns dislocated on the arbalesters; to modify the traverse of the forecastle guns, the ship had to move: this clearly denotes the limits of use of the galleys, their sole tactics being the frontal attack of ramming. To be used as a sailing vessel the “REALE” was equipped with two lateen sails; before entering into battles, the sails were always furled and the lateen yard chained to the masts to prevent them striking the oarsmen due to enemy gunfire. As it was very low on the waterline, the covering was often flooded, and sailing under strong wind, the entire part affected, thwarts and rowers included, was immersed. In the 18th century, the sole possibility for a galley to enter into battle against a heavily armed ship was to take advantage of the smooth sea and choose its combat position, directing the bow on the enemy; due, however to the poor armaments, it took a large number of galleys, to defeat three medium-armed masts. To bear this out, we recall that in 1651 the frigate LION COURONNE, with only 26 canons, withstood the attack of eleven galleys, while, in 1684, the vessel LE BON alone was victorious against 35 galleys. The battle of Matapan in 1717 was the last one in which galleys took an active part. Pompey, ordered to clear the seas of pirates, had full authority over the entire Mediterranean and Black Seas, and all land within 80km (50 miles) of the sea. He raised 500 ships, 120,000 soldiers and 5000 cavalry. He then divided this force into 13 commands. The only area left (deliberately) unguarded was Cilicia. Pompey took a squadron of 60 ships and drove the pirates from Sicily, into the arms of another squadron. Then he swept down to North Africa, and completed the triangle by linking up with another legate off the coast of Sardinia, thus securing the three main grain-producing areas that served Rome. Pompey then swept across the Mediterranean from Spain to the east, defeating or driving pirates before him. The remnants duly gathered in Cilicia, where Pompey had planned a full assault by both land and sea. 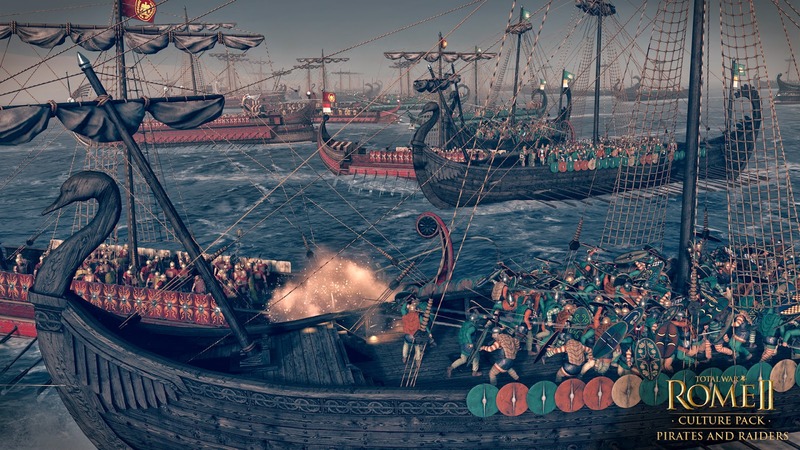 A few pirate strongholds were destroyed, and there was a final sea battle in the bay of Coracesium, but thanks to Pompey's clemency, most pirates surrendered easily. The Romans used their fleet to good advantage in the conquest of Macedon in 168, then let it fall into decay. Instead, the senate relied on Greek subject states of the eastern Mediterranean for naval matters. Unfortunately for security in the Mediterranean, the decision to abandon the Roman fleet coincided with a Roman decision in 167 BC to curb the independence of Rhodes, an island city-state in the eastern Mediterranean. For over a century Rhodes had been a great mercantile centre, and trade was so important to her economy that she had equipped a major fleet to combat Mediterranean pirates. The Rhodians had played a widely-recognized role as the official policemen of the eastern Mediterranean; after Rhodes was devastated by an earthquake in 226 BC, all the Hellenistic kings had contributed timber to help them restore their ships; one ruler even gave 10 fully equipped quinqueremes to the city. But Roman policy undermined the Rhodian economy, and Rhodes no longer had money for an anti-pirate fleet. Piracy was a plague. It was not simply a matter of individual ships preying on sea traffic. Instead, whole fleets of pirates were common again by the first century BC, raiding the coasts and often lending support to land forces in war. With the decline of Rhodes, the problem grew to mammoth proportions. Worst were the Cilician pirates, whose bases were on the rugged southern coast of Asia Minor. They eventually attracted so many fighters and ships that they organized themselves on naval lines with flotillas and whole fleets under the command of admirals. 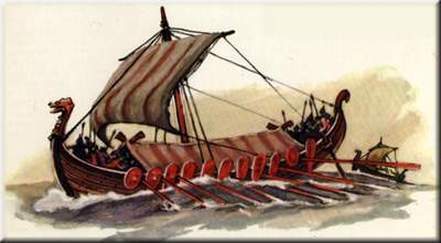 They also added warships, even triremes, to the smaller, swift ships – liburnians, which had two banks of oars, and hemiolas - that were handiest for piracy. It has been estimated that by the early first century BC, there were more than 1000 pirate ships operating all over the Mediterranean and the Black Sea. The pirates became bolder all the time. By the 70s BC, they were raiding Italy, carrying off noble Roman women for ransom. One pirate squadron even carried off two high Roman officials, along with their staffs. Another squadron attacked Rome's own port of Ostia, and sacked other cities. Cilician pirates also aided Rome's inveterate enemy Mithridates VI of Pontus (120-63) and, according to one later account, even made a treaty with Spartacus, the leader of the slave rebellion that shook Italy in the 70s. Although that deal, if it ever really existed, was betrayed by the pirates, clearly they were an enemy force which gravely affected the Roman Republic and its growing overseas empire. The last straw was when pirates started interfering with the grain fleet of Rome itself. Finally, early in the year 67 BC, the Roman tribune Aulus Gabinius proposed a comprehensive campaign to sweep pirates from the sea. The senate opposed such an action almost unanimously, fearing the power that such a special command would give to a single individual in Rome's unstable political environment, especially since they knew that the likely candidate was the ambitious Gnaeus Pompeius Magnus, or Pompey the Great. Pompey was well on the way to achieving political dominance over Rome through his reputation as a military hero, and the threat of force from the soldiers who had served under him. He needed a spectacular role as 'saviour of Rome', and that is precisely what Gabinius arranged for him. The tribune bypassed the senate by presenting his anti-pirate proposal directly to the Roman popular assembly. The lex Gabinia (Gabinius' law), when passed, gave massive power to the person appointed: Pompey. He was granted a three-year appointment to clear the seas of pirates, with power to raise troops in all Roman provinces. He was allowed up to 25 legates working under him, and had full authority over the entire Mediterranean and Black Seas, as well as all land within 80km (50 miles) of the sea, along with a large budget to outfit a huge army and fleet. Pompey had clearly begun planning well before passage of the lex Gabinia, and was able to jump immediately into action. According to Plutarch, Pompey raised 500 ships (from subject allies), 120,000 soldiers and 5000 cavalry. He then divided this force between himself and 15 legates, political appointees rather than his trusted military allies; obviously Pompey was using his naval command to increase his political capital. Pompey then divided the Mediterranean and Black Seas into 13 commands (keeping 2 legates serving directly under him), assigning a legate to each area with orders to patrol his own command by both sea and land, attack strong points, and prevent pirates· from entering or leaving his sector. The only area left unguarded was Cilicia. This was left as a gathering point for escaping pirates, so they could all be dealt with in a full-scale assault. Pompey himself started operations early in the spring, before the time considered safe for shipping. He took a squadron of 60 ships and drove the pirates from Sicily, into the arms of another squadron led by one of his legates. Then Pompey swept down to North Africa, and completed the triangle by linking up with another legate off the coast of Sardinia, driving or fighting pirates as they went. Thus he secured the three main grain-producing areas that served Rome, the justification for the campaign in the first place. It is clear that he wanted to look good in Italy. With the grain supply secure and all legates in place, Pompey himself swept across the Mediterranean from Spain to the east with part of the fleet, defeating or driving pirates before him. The remnants duly gathered in Cilicia, where Pompey had planned a full assault by both land 244 and sea. He equipped his land forces with an elaborate siege train, which in the event was not needed. A few pirate strongholds were destroyed, and there was a final sea battle in the bay of Coracesium. But even that was not a hard fight. The pirates had nothing to fight for, since word had already spread of Pompey's clemency; instead of executing captured pirates, he offered them land in exchange for their ships. Pompey, for political reasons, needed quick victories. Most pirates had been driven to the profession by need and, hearing of Pompey's generous treatment, surrendered without a fight.